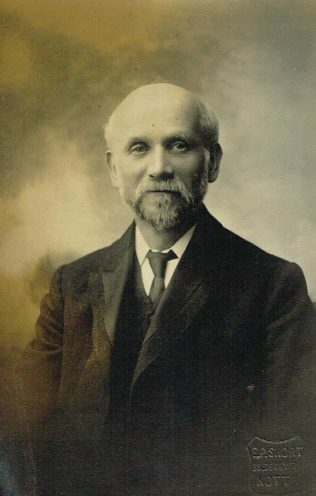 Samuel was born on 15 August 1847 at New Brinsley Nottinghamshire to parents Thomas Henshaw and Matilda Shipley. Thomas was a coal miner. Matilda died when Samuel was aged nine. In his testimony (PM Magazine 1918), Samuel recalls that he was not generally regarded as a particularly good boy. The element of mischief was strong in him. He was rollicking, roguish, full of liveliness, laughter, fun, delighting in all sorts of mirth, jokes, and pranks. He was fond of sports; cricket being his favourite pastime. When Samuel was a child, the family moved to Staveley, where he attended the PM Sunday School. Samuel was converted aged fifteen in a revival. This triggered an effort to improve himself. For three nights a week, winter and summer, after a hard day’s work, Samuel walked three of four miles to get the best tuition within his reach. Soon after conversion Samuel became a Sunday School teacher, Sunday School secretary, class leader and local preacher. When he started to preach, Samuel accompanied Mr J Martin, J.P. of Staveley. When aged eighteen, Samuel moved to Stonebroom in the Clay Cross circuit and it was from that circuit he was recommended for the ministry. During his superintendency at Nottingham, the handsome Mayfield Grove Church was built and membership increased by 300. Samuel took an active interest in many aspects of public life, including education, temperance, and all phases of moral and social reform. In Sheffield he served a double term on the Sheffield School Board. Samuel was a man of eloquent tongue. His oratorical gifts were of high order. He possessed a fine clear voice, and spoke with great fluency. His sermons were characterised by freshness and fervour. His preaching was the product of a man with a wide outlook, broad sympathies and a catholic spirit. 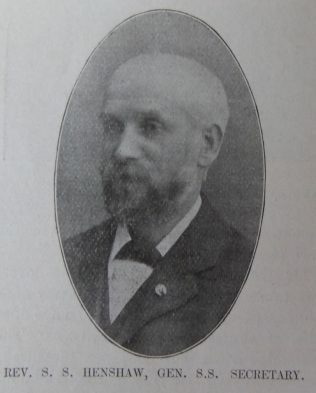 Following eight years as Secretary of the Sheffield District Sunday School Committee, Samuel undertook the higher position of Connexional Sunday School Secretary from 1902-1907. Samuel was active in the Passive Resistence Movement against the 1902 and 1903 Education Acts. Refusing to pay resulted in Samuel spending time in Armley Gaol, Leeds. The description of his court case, arrest and time is gaol is described in detail in the 1905 article in the PM Magazine. 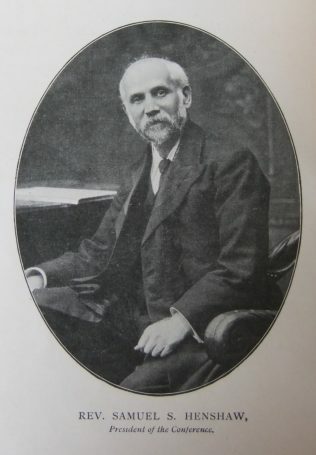 Samuel was President of Conference of the Centenary Conference at Tunstall in 1910. 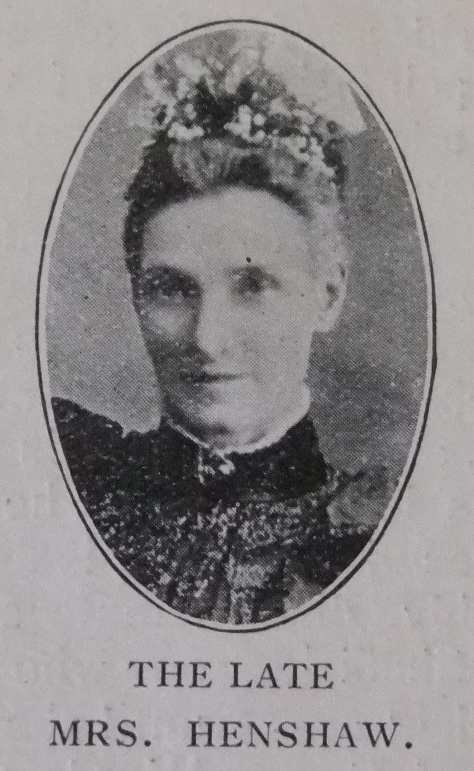 Samuel married Margaret Fletcher (1850-1908) in the summer of 1875 at Sunderland, Co Durham. Census returns identify four children. Samuel died on 25 April 1926 at Armley, Leeds, Yorkshire. This page was modified on 8 January 2018 to add a transcription of an article published in the Primitive Methodist Magazine, 1905 , that describes Samuel’s experience as a Passive Resister in Armley Gaol in his own words. An account of his Passive Resistance is also given in Gold under the Hammer: Passive Resistance in Cornholme 1902-1914, p.21. ‘Reverend Henshaw of Leeds passed all his possessions by way of legal document over to his wife just before the police called to collect his valuables. He thus landed himself in Armley Gaol for three days.’ It then gives Henshaw’s own account of his imprisonment.